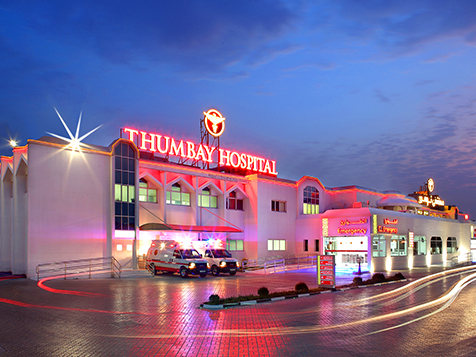 With its hospitals and medical center located in Ajman, Fujairah, Sharjah, Dubaï and Hyberadad, the Thumbay Hospital Group is one of the largest health care providers in the region. The Group revolves around three pillars : education, health and research. Their objective ? To provide quality care with the latest technologies thanks to a highly qualified medical workforce composed of 20 different nationalities, speaking more than 50 languages and treating patients of more than 175 nationalities ! In search of innovative healthcare equipment, the Thumbay Hospital Group recently opted for our Diasys, our carefully designed and ultra-slim cupola examination light . Enjoying the benefits of LED technology, the Diasys is an intelligent and suitable light for examination procedures, offering a central illumination of 70 000 Lux ! The LED technology allows it to emit a light that is homogeneous, cold and without infrared. If you would like more details on this technology, click here. In order to be part of our era, our Diasys examination light has been entirely conceived in a logic of sustainable development and energy saving. Synonymous with performance and innovation, our Diasys automatically turns on when manipulated and turns off automatically after 30 minutes without any movement. Thanks to our MOTION-MATIC technology, users of this examination light will be able to vary their light intensity, focal lengh and color temperature with a simple movement of the hand ! Technology lovers, this model is made for you ! So, if our Diasys examination light interests you, we invite you to consult its product sheet and/or to contact our sales team directly by completing this form.